Perfect deisgn tree of life persian silk carpet high qualityHigh qualit of tree of life silk carpet, the red one is 3x4.5ft, the dark one is 3x5ft.Only few peices stock available. The weaver takes more time to make high quality of the carpets. The design is more clear and exquisite. 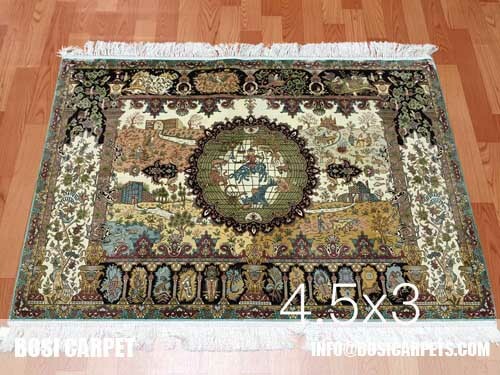 The quality is more higher.If interesting hand knotted silk rugs, please contact us. 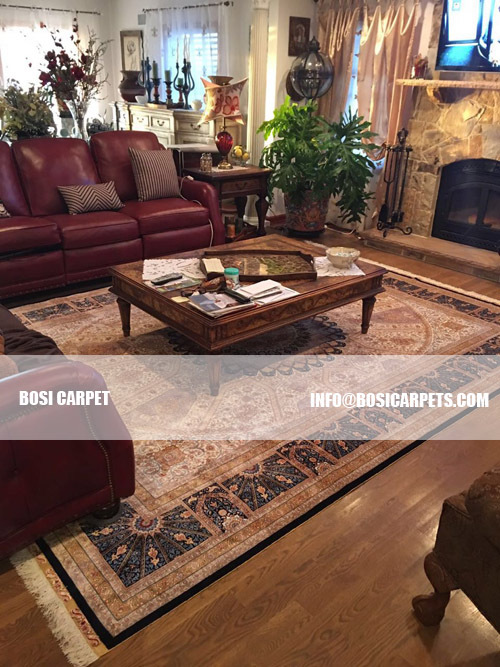 Henan Bosi Carpet is a professional handmade silk carpet manufactuer in China. Here are thousands of designs in stock, such as Persian, Turkish, Qum, Chinese, Isfahan, Nain, Kashan, Kerman, Kashmir, Bijar, Caucasian, Iranian, HeratiGul, Sarouk, Hereke and so on. 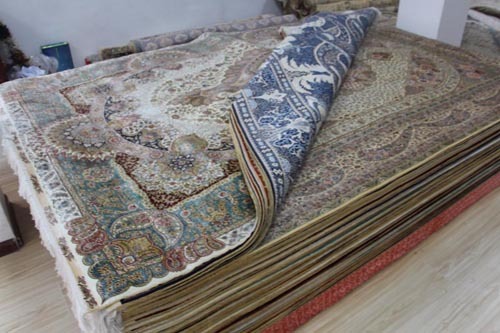 We can make 500,000 sq.ft rugs and export to over 40 countries. 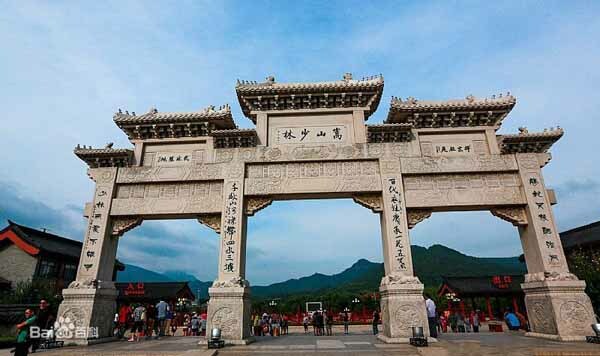 Bosi Carpet is location in Henan, China which is a beautiful place.The famous in the world is Shaolin Temple which is the Kongfu's seminary.If you like Chinese's Kongfu, and like to visit the good place, welcome to visit zhengzhou, henan.Welcome to zhengzhou, welcome to Bosi Carpet. 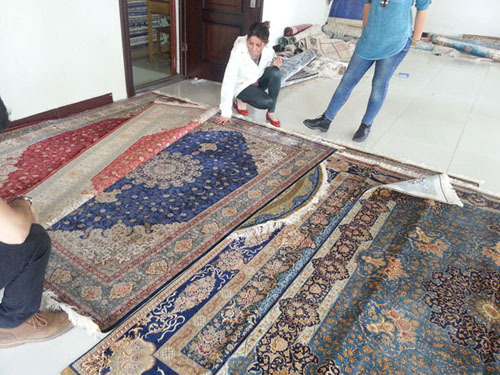 The customers come from Turkey to visit our factory and choose the designs in warehouse.In the warehouse, there are thousand of carpets such as Turkish, Persian, Chinese, Iranian, Qum etc, size from 1x1.5ft to 14x20ft. Customized is also accepet. 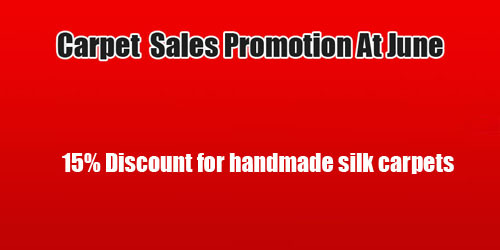 Good news!Promotion in middle year!15% discount at June of hanmdade silk carpet from Bosi Carpet Factory.